The Toronto Maple Leafs are celebrated in Toronto Maple Leafs: Their Defining Moments . This book shares over 100 Maple Leaf moments that defined, started, or rejuvenated a career. This up-to-date volume of work tells the story behind each amazing player and is packed full of Hall of Famers and other great stars of the past and present. 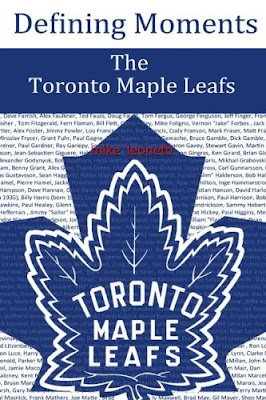 A hundred great moments in Leaf history, including over a hundred players categorized into ten themes, such as fan favourites, leader¬ship, tough guys. Including Leafs' greatest players, such as Syl Apps, Darryl Sittler, Dave Keon, Börje Salming, Mats Sundin, Joffrey Lupul, this book brings together the greatest stories in the Toronto Maple Leaf history.